This past weekend, Trinity Western University and North Langley Community Church hosted the first Open Vancouver, an open-source youth ministry training event. 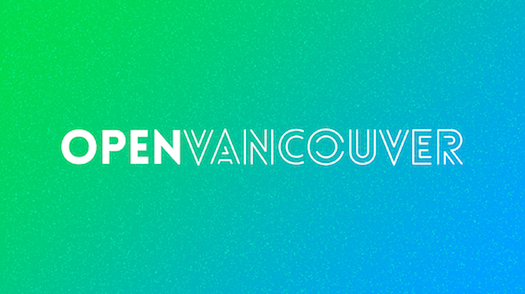 Created by The Youth Cartel, the Open movement has spread to seven cities, with Vancouver as the first Canadian gathering. Eighteen presenters shared about a wide range of ideas and practices, and we focused mainly on youth ministry in the Vancouver area. 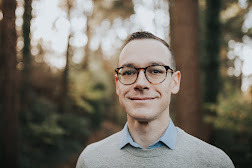 Having been a part of Open Seattle for two years, I was eager to be part of the organizing team putting together Open Vancouver, and loved seeing how this little event felt like a glimpse into the kingdom of God. I was stoked that my Youth Cartel friends Adam McLane and Mark Oestreicher could attend this event too. These guys mean a lot to me, and it was sweet to have them on Canadian soil. Variety. We had such a unique diversity of presenters and participants from all over the Vancouver area and beyond. Mennonites, Baptists, Catholics, Presbyterians, non-denominations, and my friend Chris, who described himself as a "former charismatic moving into the orthodox church." We had people share on deeply theological concepts, to as pragmatic approaches to culture and church ministry, as well as personal rants or exhortations. I met Father Terry, an elderly Catholic priest serving in Vancouver who wants to reach young adults with the gospel. Conversation. I loved seeing conversations happening around tables and in hallways, people sharing ideas and contact info with one another. The beautiful part about Open events is their collaborative and conversational tone. It was sweet to catch up with awesome people like Morgan Schmidt and Jason Ballard and Geoff Stewart and Blair Bertrand, and meet new friends Let's just get a bunch of awesome people in a room and let them share ideas with each other. Simplicity. Open Vancouver wasn't flashy or high production--it cost $25 per person, and that included a lunch. Yet it also wasn't mediocre or slapdash--the presenters gave quality content, the setup and registration were top notch, and everyone did their part to make the whole event awesome. We didn't have a worship band or tons of breakout sessions or hundreds of people; we kept it simple, local, inexpensive, and accessible. Thanks to Adam McLane, Matt Wilks, and Clay Imoo for being the organizing team for Open Vancouver this year. You can see more at the Open Vancouver website, and listen to the audio from some sessions at OpenYM.org under the Open Vancouver tag.